Getting ice from your refrigerator door is great when it comes to filling up your glass, but it can become a headache when you need to fill a container that is too large to fit under the dispenser. 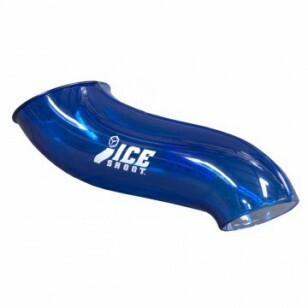 The Ice Shoot EK USA Ice Funnel was created to solve this issue by allowing you to transport your ice straight from the dispenser to the container without dropping a cube. Think of it as a large funnel straight from your fridge door down to whatever you are filling. Whether it be a pitcher, blender, or cooler, this intuitive product will have you ice where it needs to be with ease. Order today!